The Mountain Resources Commission (MRC) region is not only predominantly rural, but contains many remote areas isolated by the surrounding terrain. This combination of low population density and difficult terrain means that infrastructure – such as paved roads, telecommunication facilities, and other modern conveniences taken for granted by urban dwellers – can be more expensive to construct and are not always available. For instance, in 2000, the portion of households in the MRC region without phone service was 22.6 percent higher than in the state as a whole, and the portion of mountain households without complete plumbing facilities was about 10 percent higher than in the state as a whole. 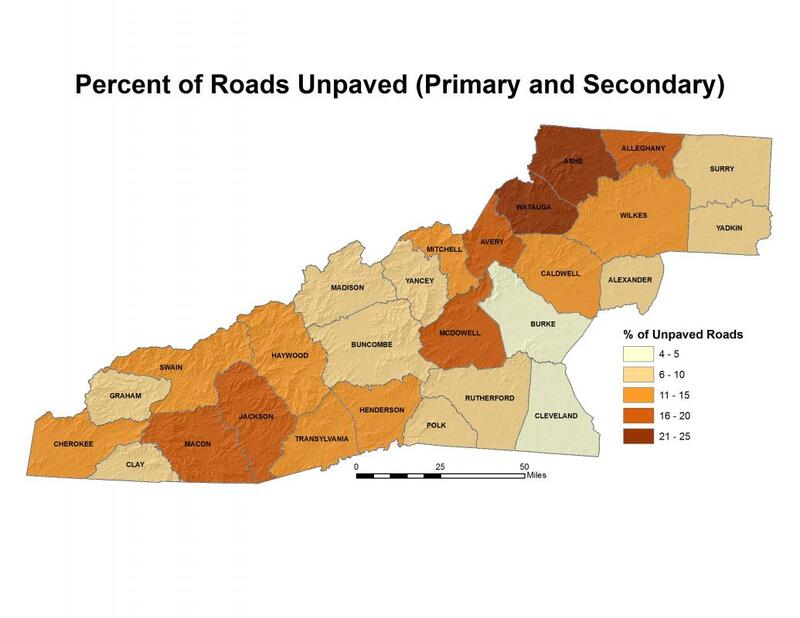 Nearly 11 percent of roads in the MRC region remained unpaved in 2008 – almost double the state’s share of unpaved roads. In 2001, there were 2,737 miles of unpaved roads in the MRC region, and by 2008 only 1,953 miles of road remained unpaved. Ashe County continues to have the most unpaved road miles, with slightly more than 200 unpaved miles in 2008 – about 25 percent of roads in the county, and Wilkes County is second in the number of unpaved road miles in 2008 with 195 miles, followed by Watauga with 124 miles unpaved. 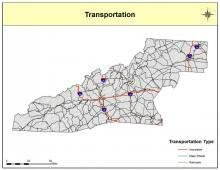 Interstate highways are located in 10 of the MRC region’s 27 counties, covering a combined 239 miles in 2008. 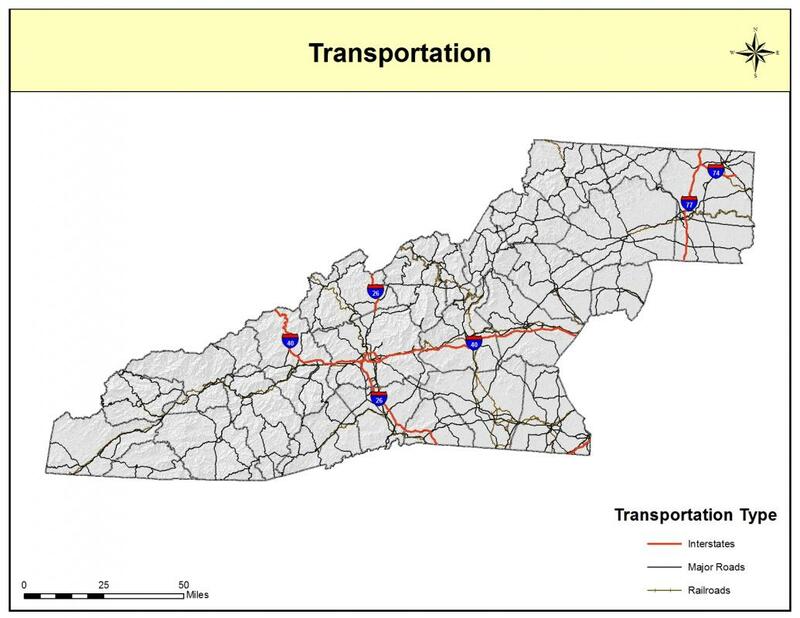 The North Carolina Department of Transportation estimates about 288.7 million vehicle miles were traveled on interstates in the MRC region during 2008.